Why does the 9mm Lee FCD Exist? Re: Why does the 9mm Lee FCD Exist? Certain Dillon progressive presses can be notorious for not resizing the full length of the case, unlike other dies. No press on the market sizes the full length of the case due to the shell holder blocking access to the head of the case. Progressives are even worse because they need more of a lead-in ramp (or internal flare) built into the Sizing Die's mouth. I was not aware that the Dillon SDB's gave any more or less coverage with their special dies. Due to these inherent design constraints, the Sizing Die needs to come as far down as possible without upsetting the press ram/platen as it raises the shell to the dies. I would say to check your clearance between the die mouth and shell holder. On all machines, the Sizing Die's position is set first, then all other dies are set relative to that die. My [Dillon] Square Deal has this issue (compared to the 550/650/1050 you cannot remove the dies and swap them for other brands) so in this case the Lee FCD is invaluable if the bulged cases prevent proper chambering. If you've got a bulged case after loading, then chances are you had a severely bulged case before you started. Such cases are from guns with unsupported chambers, and not a CZ. So we must be talking about "range pick up brass". I use range pick up myself, but generally find that under scrutiny, 1 in 10 new pieces are not worthy of reloading. 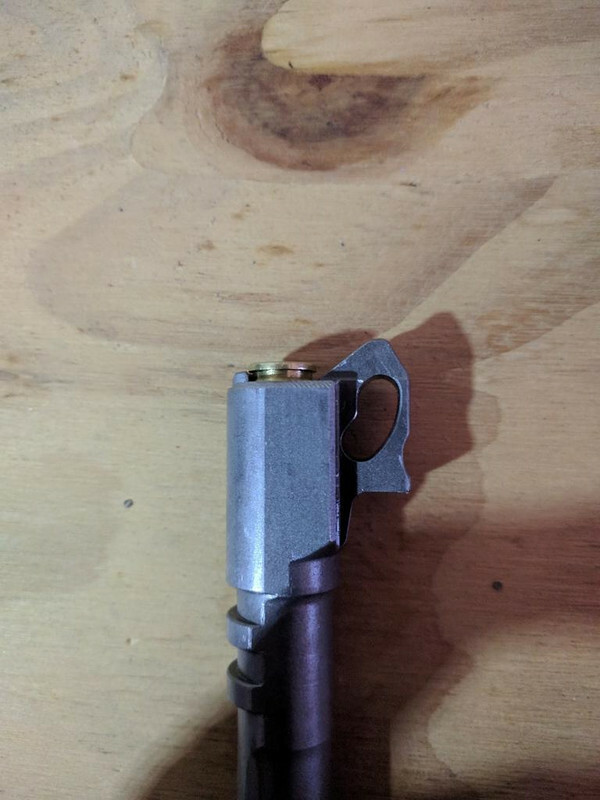 You've got to check for Berdan primers, steel cases, and internally stepped cases, so while it's in your hand why not simply check for this bulging ? I'm sensitive to your subject, but of the 2 SBD's I've owned, and all the hundreds of SDB owners I've talked to, you're the first to say this. My square deal has this issue (compared to the 550/650/1050 you cannot remove the dies and swap them for other brands) so in this case the Lee FCD is invaluable if the bulged cases prevent proper chambering. This doesn't make sense. If your press doesn't take other brand dies, how do you use the Lee FCD? You use it after the fact on a single stage press. Then it's not invaluable. If you are going to a single stage press anyway, you'd be better off using a decent sizing die in the single stage to size the cases properly to begin with, making the FCD useless in that regard, and avoiding the pitfalls of teh FCD altogether. Thanks for your replies Wobbly and IDescribe. Just trying to sort this out and your help is much appreciated..and I am mindful of hijacking this thread from the OP so I'll try and condense it all here. Yep you're spot on...all my brass is a great variety of range pickups, which have (naturally!) been no issue in the last 8 years I've been shooting an M&P; as far as I understand its chamber is not unsupported...and there is no one in my club who shoots a Glock so I can at least rule that out. Tried barrel dropping a few, one had no chance with an OAL shorter than one which almost chambered. My thinking was the FCD would simply make all rounds uniform without having to barrel drop every one and pull those which don't chamber. 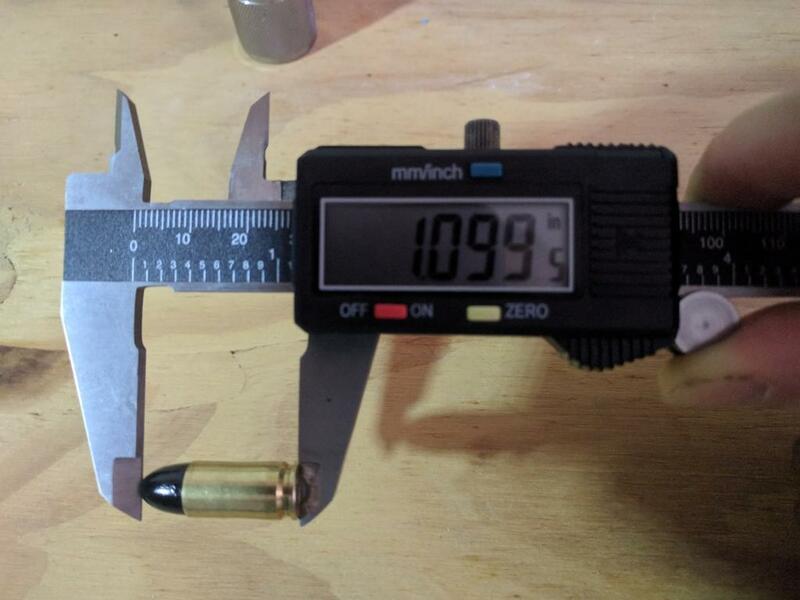 The bulge in 9mm reloads is typical, and not an issue. I think you have a crimp issue, but not one that requires the FCD to solve. 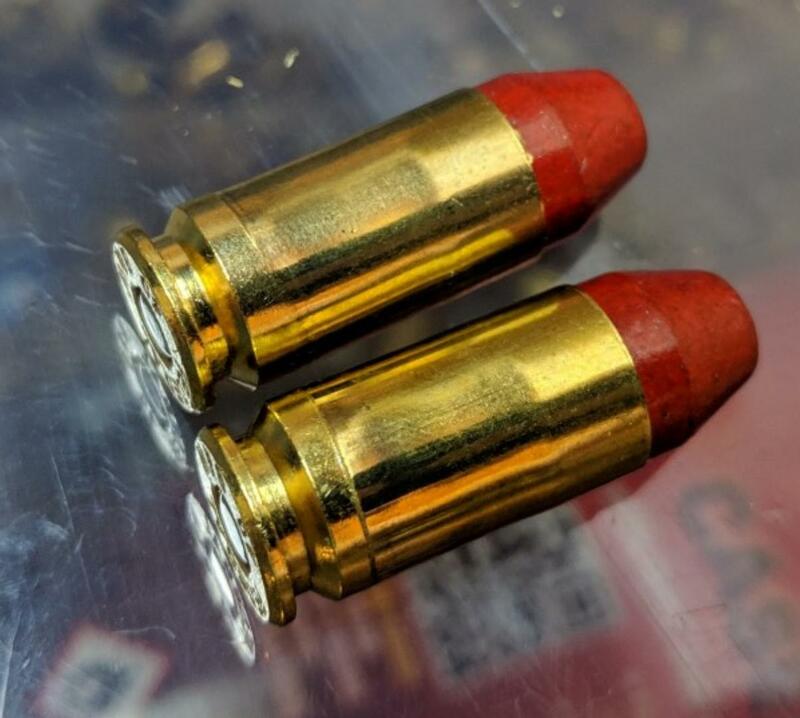 Are you taper crimping your ammo? What do the cases pictured with the barrel measure, as close to the case mouth as you can get with your calipers? • Glock got a bad reputation with their unsupported chambers in Gen 1 guns in 40S&W, not the 9mm. On top of all that, anyone shooting 9 Major at your club ? Cases fired in Major guns have a bad habit of expanding the head. All it takes is 0.001" of expansion at the head to not fit into any SAAMI chamber. I think you should start by measuring your brass. The head of your brass MUST be 0.391" or smaller. Not to be snippy, but the cartridge diagram in your loading manual is there for a reason. If your finished cartridge doesn't fall below (smaller than) those dimensions, then you're in trouble. That also includes the taper crimp. You actually don't want the shell plate touching the die, but you need it to come as close as possible. So I use a sheet of paper as a feeler gauge. That will set the clearance at ~0.003". 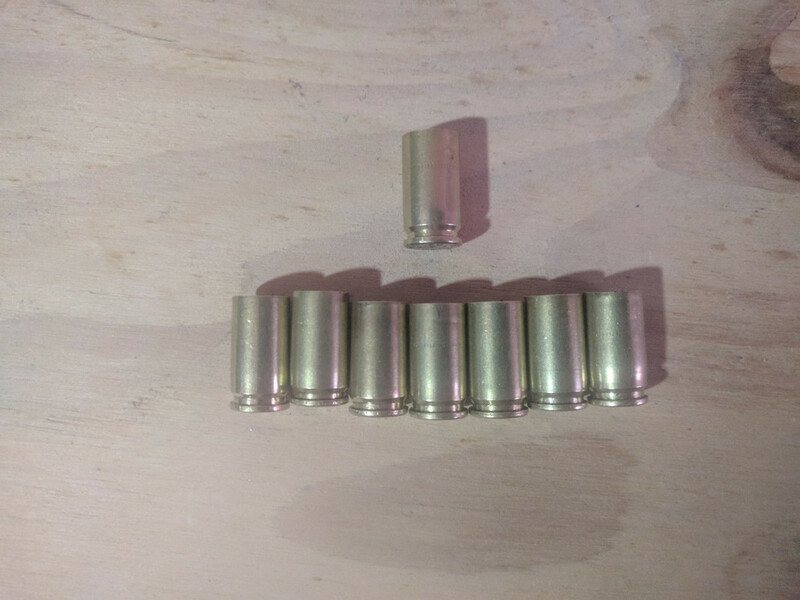 If you can pull the paper out without taring the paper you're OK.
You have made the erroneous assumption that irregularities in the brass that will keep it from loading can be seen with the naked eye. That is absolutely NOT true. As stated earlier in this post, a good caliper and a good micrometer are needed. The 135gr projectiles are hard coated lead, all very uniform at around 0.355". What happened to lead projectiles being 0.356-0.357" ? The "barrel plunk test" will only prove you have issues. It won't tell you want the issues are. And really that's what Lee wants you to believe. Buy this die and all your troubles will be over. Nothing can be further from the truth. You still need to learn to adjust the FCD, which requires making several measurements, either on production or test cartridges. Even with my one-piece taper crimp dies... I still put a caliper on rounds during every production run. Modern Quality Control mandates that the guy running the machine bring all the dimensions within spec, and make occasional measurements (checks) to keep everything in spec. Reloading is part art and part science. If you want to load a different powder or bullet every day, or try different OALs, that's the art part. The sky's the limit, as they say. Then there's the hard science of numbers. You cannot be flippant about meeting the required dimensions. "Close" simply isn't good enough. In reading your post I'm getting this feeling (maybe incorrectly) that you're very casual about dimensions. That simply won't work. Your case heads must be 0.391" or smaller. Your taper crimps must be 0.380" or smaller (hopefully 0.376 to 0.378"). I love the FCD , gutted and used as a bulge buster for 40s&w. 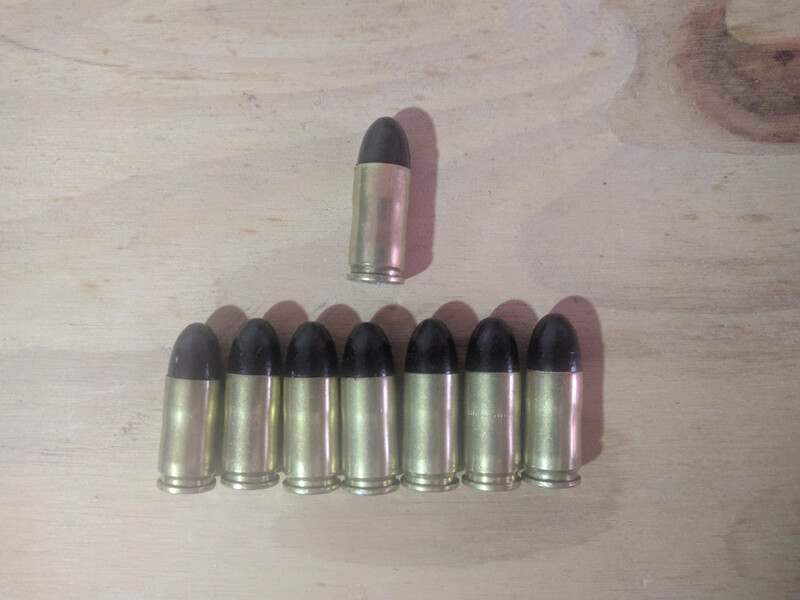 Never had a issue with 9mm that a sizing die wouldn't take care of. I use a seating die then a light taper crimp just to remove any flair. 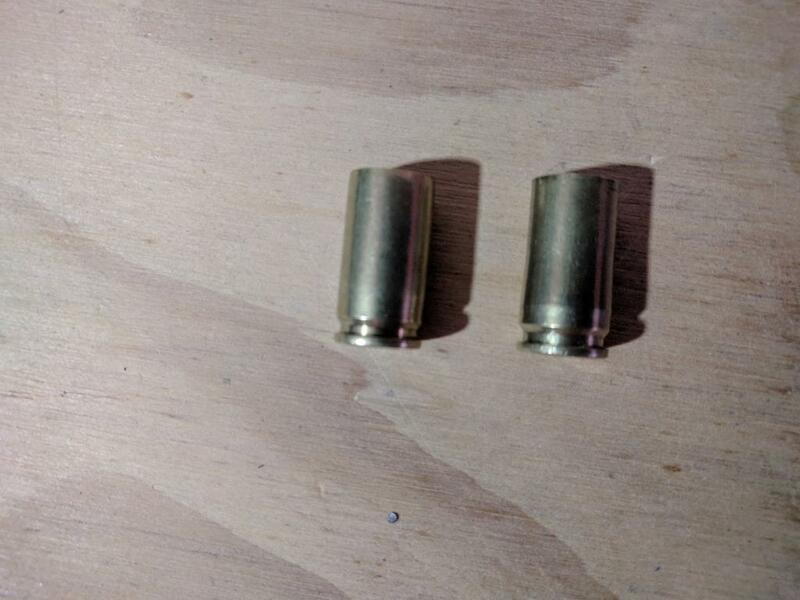 I have not reloaded jacketed or plated projectiles in years, only coated bullets. 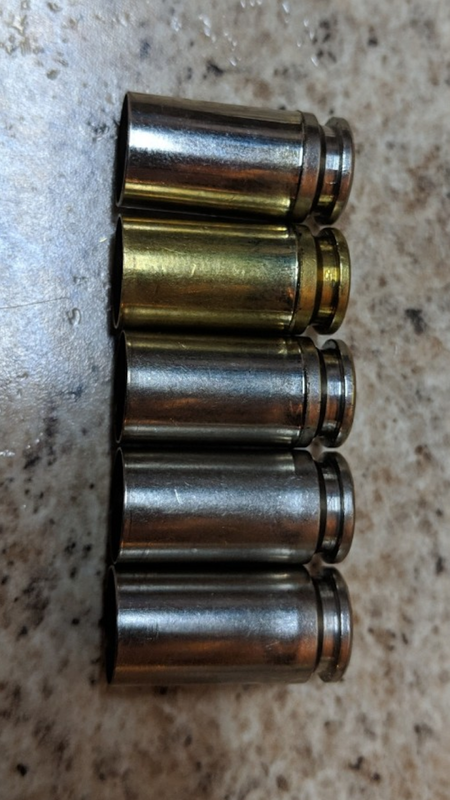 40S&W brass from a police range pickup. Top 3 cases used a Dillon size die on a 650XL. - Obviously weakened case walls and would not pass case gauge. - Not all cases were this extreme (see second picture below with two rounds that passed case gauge). I don't plan to shoot these. Bottom 2 cases used a Lee FCD on a 650XL. - These passed case gauge. - I included two nickel plated cases since they were more likely to exhibit the issue seen in the first 3 examples. I've loaded many thousands of 40S&W on my SDB (before I bought my 650XL) and did not have these issues. Needless to say I was disappointed in the Dillon sizing die on the 650. I've never seen brass like that as a result of Dillon Sizing Dies. Might want to call Dillon CS. Use the FCD in many heavy handgun rounds including 9mm+P. On JHPs [XTP etc] it cannot be beat for heavy crimp on hot loads. Don't use with softer lead bullets as it can resize the bullet inside the case. It's more useful for magnum revolvers but it reworks bulged 10mm cases quite well. Debatable in the 9 but for specific loads and bullets it can be ideal. 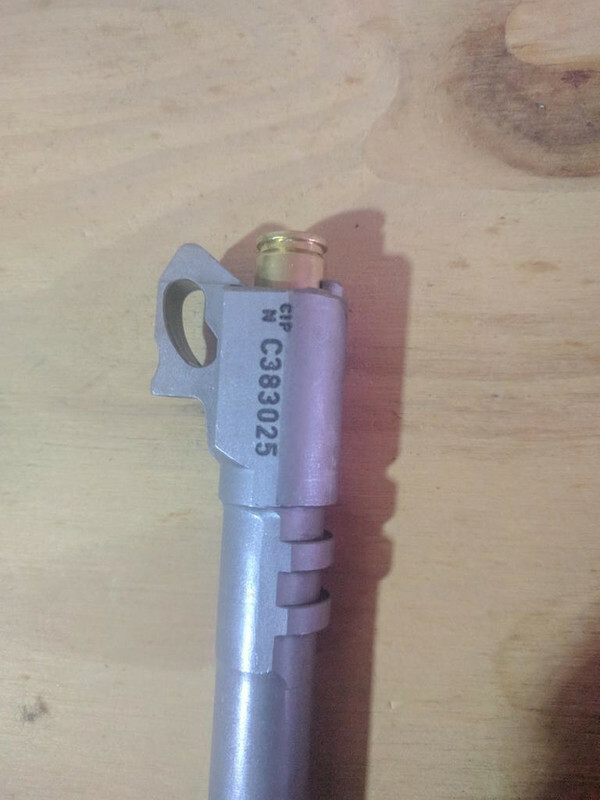 Most common pistol rounds headspace on the extractor anyway so my crimps are tailored to other considerations. FCD is especially nice in the 45-70 at upper limits !! You're going to need to list those common rounds for us. You mean the forward lip of the cartridge? Straight-walled rimless cartridges often headspace on the forward lip of the cartridge as shown in the diagram at the top of this article. Headspace for rimmed cartridges is the space between that forward ledge and the bolt face when the action is closed. So even rimmed cartridges don’t headspace on extractors. 9mm cases are .754 by spec. In a 9mm pistol, with a case of .754, the case mouth should headspace on the headspacing step in the chamber when the pistol is in battery. The case should be more or less pinned between the breech face and chamber step when in battery. This means that distance from the breech face to the headspacing step when is the pistol is in battery should be .754. In reality, very few 9mm cases are as long as the SAAMI spec. Very few exceed even .750. And we know that 9mm cases get shorter as they are fired and resized. As cases get shorter than the space between the breech face and the chamber step, the case will be prevented from reaching the headspacing step by the extractor. At this point, you would say that the case is headspacing on the extractor. IF the case properly headspaces on the chamber step, that will act to square the cartridge to the bore (assuming the chamber was reamed well, with the headspacing step squared to the bore). I read an articles a few years ago where a guy did accuracy testing based on case length. Same length was better than mixed, and longer was better than shorter, although there were quickly diminishing returns over (I think) .750. 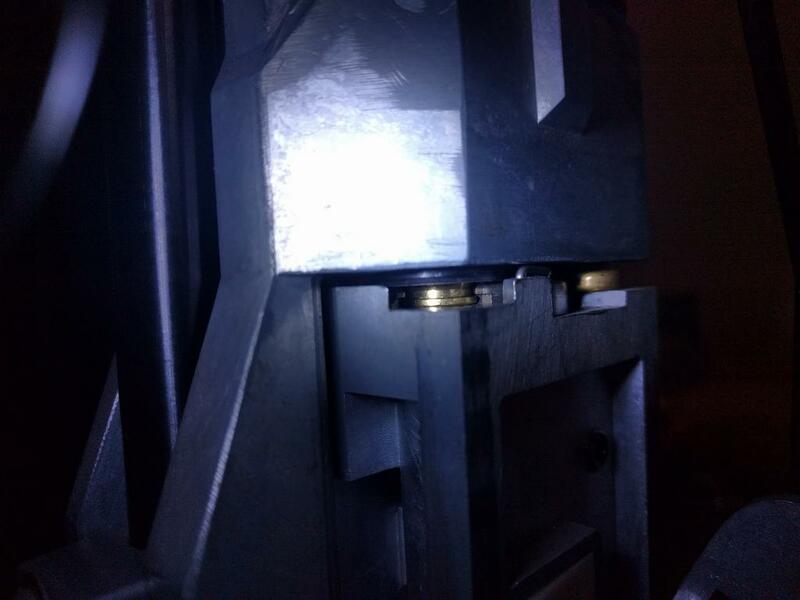 The guy who did the testing (the test was well-composed) speculated that when the case length was no longer long enough to square against the chamber step, basically hanging on the extractor, that precision started to suffer. It makes sense. It is, as well, another reason not to over-crimp because crimping not only removes the bell, when you overdo it, it tapers/thins out the walls at the case mouth, not truly shortening the case, but effectively shortening the case by making it narrowing the OD at the case mouth enough that it will never square to the chamber step at any length. 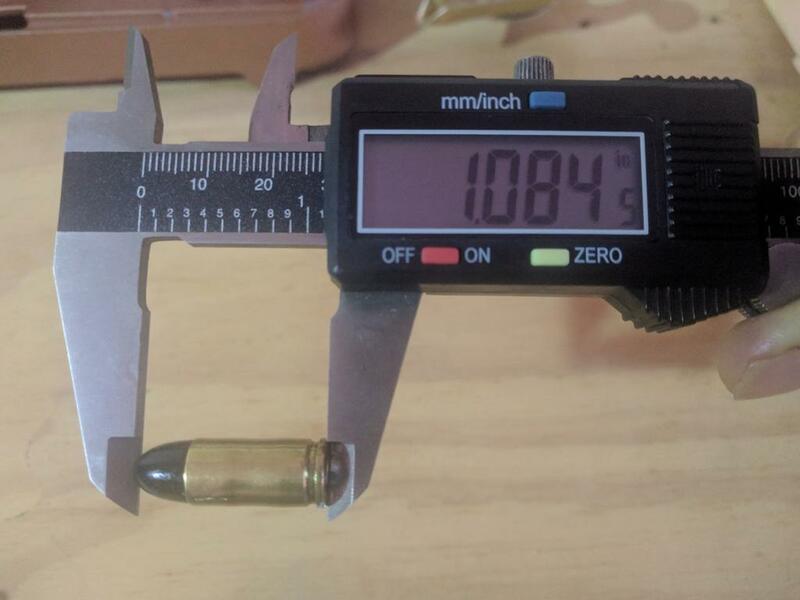 9mm case mouth spec is .380. Get that measurement narrow enough, and it won't contact the chamber step all the way around. You are joking right? Ever shot a revolver? Where the rim sits against the star extractor preventing it from moving further forward? Headspace measurement and mechanism are 2 completely different things. Contextually the conversation was around most common pistol rounds and I was thinking that most common pistols that fire those most common rounds are semi auto’s. You’re correct on your retort for revolvers. Idescribe covered the mechanical function of your statement happening in real life, although it is not how the headspace for those cartridges is defined. Was his explanation what you were getting at? Contextually the conversation was around most common pistol rounds and I was thinking that most common pistols that fire those most common rounds are semi auto’s. You’re correct on your retort for revolvers. I'm with you, SP. A pistol is either a single-shot muzzle loader or a semi-auto. Revolvers are revolvers. The comment left me scratching my head.